Driven by youthful exuberance and fervour, she has been passionately seeking answers to come up with remedies that could address burning issues which plague the eco-system. As industrial wonders of modern world ruthlessly strive to jeopardize the balance of the system, activists like her stand tall, rebelling with vigour to put it back into balance. 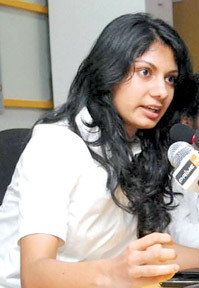 Due to her active engagement in environmental conservation activities, Anoka Abeyrathne, vibrant twenty one year old eco-activist from Bishop's College was recently named as one of the most influential and powerful young individuals in the world by ‘Youth Service America’. YSA List recognizes and rewards 25 vibrant young individual from all over the world, who are actively engaged in voluntary and social entrepreneurship work which address issues that plague the world today. 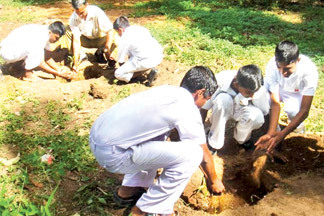 Her ‘Mangrove Re-plantation’ project would testify that blend of astuteness and creativity is all it takes to make a difference. She has been working with mangroves for more than 5 years, planting more than 12,000 Mangrove saplings. Her initial project encompassed Climate Change Mitigation through mangrove replantation. The project also imparts knowledge and awareness through theatre, platforms and discussions programmes. 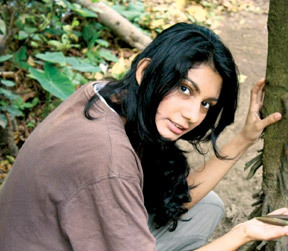 Her promising projects meant that she was selected to SAARC Youth Award Recipient 2010 for her outstanding contribution towards the protection of the environment and the mitigation of climate change. The success of her projects also paved the way for her to become a British Council Global Changemaker and Ashoka Foundation Youth Venturer in 2011. Having made it to such a prestigious list, Anoka recently caught up with Punch to discuss her future plans on how she intends to tackle pressing matters that the eco-system is faced with today. What inspired you to become a conservationist? Environment has been something I have always been in love with and equally curious and inquisitive about, ever since I was a kid who was wading in ponds to collect frog spawn to see how the jelly like substance turned out frogs or the time I found a cocoon and documented how it became a butterfly. So for me it was a natural choice to want to right the wrongs and reset the lost equilibrium of nature. I would say a lot of things inspired me to do my work, seeing animals dying and suffering because they have lost their habitats, natural disasters having major impacts due to deforestation, stagnating water bodies and mostly people who had lost their livelihood due to deforestation because fishing and farming is badly affected by climate change and environmental degradation and Mangrove destruction. I wanted to do something to make a difference and I am glad that I am making a difference. Do you want to solely focus on environmental conservation or do you intend to get in to other types of social work as well? I have incorporated social entrepreneurship with environmental conservation so that it addresses poverty which is a serious issue in today's society as well. And it addresses women's empowerment by providing employment opportunities through the social entrepreneurship. The beauty and versatility of environment is its adaptability and flexibility so that we can combine its conservation into existing by making small changes such as recycling grey water or not cutting down all the trees in your yard. What are the key environmental issues that you have identified which we should address? Environmental degradation and unplanned constructions as well as illegal mining, poaching and desecrating protected areas are some of the tips of the iceberg today. What steps should be taken to address these issues? 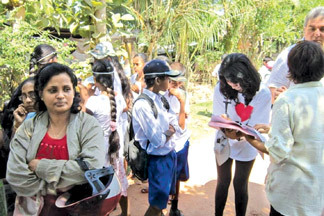 Sri Lanka is already doing well on environmental policies; however all of us need to pitch in to make sure that people do not violate environmental legislation. We need to create more awareness on the importance of nature, which can be easily instilled through education and awareness building. We plan to create more awareness through workshops and awareness campaigns around the country. Media actually plays a major role in creating awareness, its saddening to see that environmental issues are not usually given a lot of publicity. Recently we used digital media to do a video called ‘Make It Green Again’ with the hope of educating everyone on the impacts we have had on the environment. Young people are still reluctant to get in to such voluntary work, how should we mobilize them and get them involved in that type of work? What are the benefits that they could get from engaging in such work? Due to the recession and economic downfall, many young people are reluctant to do voluntary work because it does not provide any remuneration, but the rewards that young people can gain through volunteering is immeasurable. For example in the Climate Champions and Change-makers programmes, many skills such as project management, capacity building and networking skills that are essential for anyone's life and career are taught, as well as learning to manage time well. Volunteering really helps people to come out of their shell and be the best person they can be. How should we reach out to youth from rural areas? Do you believe that we have a comprehensive network that can connect youth from rural areas to get them interested and involved in such work? The British Council Active Citizens programme and the Climate champions have networks and champions in the East while Ashoka Youth Venturers are present in the North. I agree that a comprehensive youth network is needed to ensure that everyone can be part of making a real change. Most of the youth are connected through colleagues and projects so that all young people are part of making a difference. Today’s youth are way ahead of any generation because of technology and the society, so it is essential that they use their energy and resources for the betterment of their communities and country instead of using them destructively.